The Moore Building has been on NE 2nd Ave and 40th St since 1921, originally serving as a furniture showroom space for Moore and Sons. 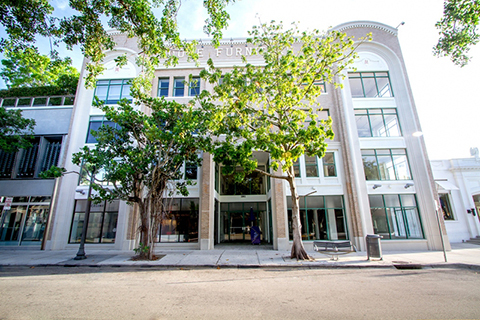 Located in the heart of the Design District, this historic building has four floors of arcaded space totalling 21,000 square feet. 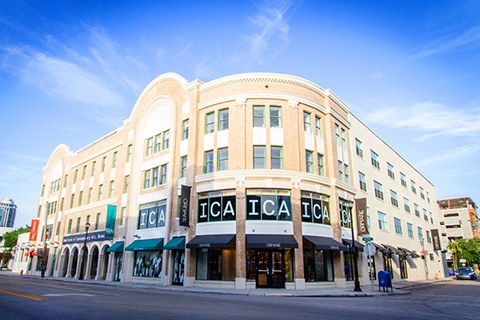 4,400 guests can be accommodated for receptions in the central atrium and 1,100 for seated events. The central atrium features an impressive permanent installation by architect, Zaha Hadid, which was commissioned by Dacra president, Craig Robbins.